Hi! 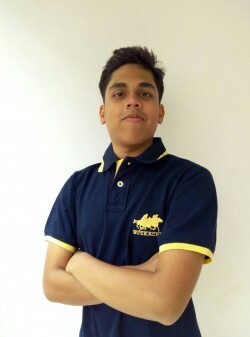 I am Pranav, a freelance editor based out of the Silicon Valley of India, Bengaluru. And this is my story. I have been super-passionate about cleaning up stuff, right from childhood. Thanks to amazing teachers in High School and College, I got a strong foundation in the English Language. The end of 12th Grade was the game changer. I found the Freelance Editing Industry. People with their own stories wanted to put themselves out there. Now, they needed someone to polish and refine their message to the world. I knew I had found my calling. At the age of 18, I got my first client. I was literally being paid to do what I loved! My joy knew no bounds. Since then, I have worked with four amazing clients: 1. An Online Self-Help Course - The Empowering Mindset Coaching Program 2. Article editing for CashOverflow - Personal Finance blog 3. Article editing for BeingHappyMom - Parenting Blog 4. The Home Science Millionaire - 117 page Non-Fiction eBook In every project, I took care of grammatical errors, tense errors and some formatting. I also cleaned up extra spaces and added emphasis (bold or italic) where required. "From grammar to formatting, Pranav takes care of all errors with a great eye for detail. He gets work done quickly and reliably. Highly recommend!" - Pardeep Goyal, Founder CEO of CashOverflow "It was a great experience working with Pranav. With an excellent eye for detail, he deftly handled all grammar and formatting flaws in various articles for BeingHappyMom. Pranav's the man you need for all your editing needs." - Neha Goyal, Founder of BeingHappyMom "You could say he's a grammar, punctuation and formatting error destroyer. Provides excellent suggestions for improvement, and knows what he's doing. Highly recommend!" -Gianni Cara, Genius Marketer That's it for now. Thank you for reading. Let's work together to take your story to The Next Level. bit.ly/HirePranav Specialties: Editing | Proofreading | Copyediting | Customer Delight!